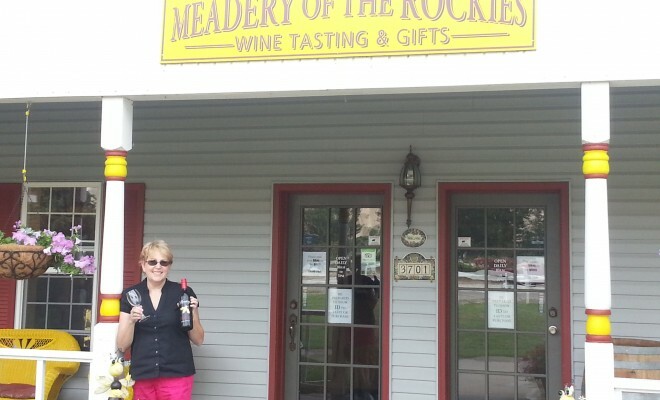 After the peach festival and before the wine festival, members of the Palisade Writing Group invited family and friends to an evening of “Words and Wine” at the Meadery of the Rockies on Thursday evening, Sept. 4. 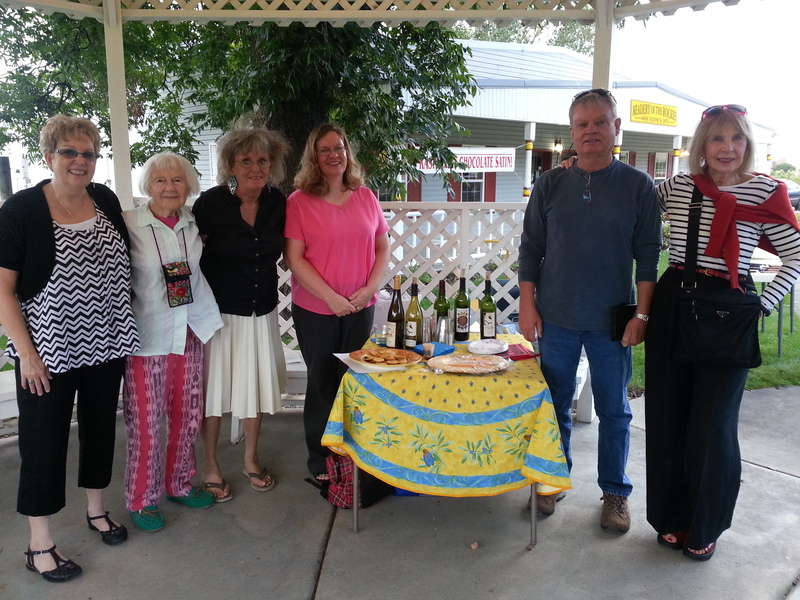 Twenty book fans listened to local writers reading excerpts from their published or soon-to-be published works while enjoying a glass of wine in the gazebo. The wine was provided by Talon Winery from St. Kathyern’s Cellar. This was the first ever opportunity for the three-year-old club to celebrate the writer members’ successful publishing and growth in their skills, according to Donna Lively, founder and director of the group. Lively has published a children’s book, two non-fiction self-help books, two personal experience books, and a killer-thriller mystery, and is working on a sequel of her last book and another mystery. Maggie Fellman, doctumentary writer and member of the Palisade Writers, welcomed the guests and introduced the readers. Each gave a five minute reading of a chosen excerpt from his or her writings: “We want to share our writings with our guests, then autograph our books and thank them for supporting our efforts,” Lively said. 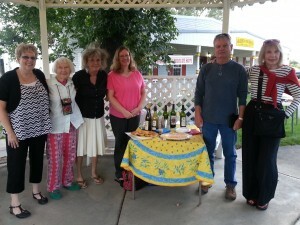 Local authors (left to right) Donna Lively, Holly Reed, Mary Leonard, Vickie Holt-Knobb and Ron Chappell read excerpts from their self-published books on September 4 at the first “Words and Wine” event held at the Meadery of the Rockies in Palisade. Palisade Writers Group member Maggie Fellman was the mistress of ceremonies at the gathering. After all readings, the audience and writers stayed to mingle and discuss and buy available books while sharing some wine. “We are hoping to do this type of event again, because we want to encourage other writers to join our group because writers learn from other writers. That’s what we do,” Lively said. Interested writers are welcome to attend the regular meetings on the second and fourth Fridays of each month at the Palisade Library from 3 p.m. to 5 p.m. The evening was beautiful in the gazabo, surrounded by grape vines. The small crowd lingered after the wine, cheese and crackers, while the authors mingle with laughs and discussion about their next writing projects words until a spectacular sunset ended their literary review.